Odisha Sun Times: In a major setback for the International Society for Krishna Consciousness (ISKCON), the Orissa High Court today declined to issue any interim order in the matter pertaining to the proposed controversial project for construction of a Jagannath temple at Baliapanda in Odisha’s holy city Puri. A division bench of the High Court comprising of Chief Justice Vineet Saran and Justice Dr B R Sarangi declined to issue an interim stay on the verdict of a single member bench in this matter while conducting a hearing on the plea of Banamali Das of ISKCON. However, the court has fixed the next date of hearing in the matter for Monday. It may be mentioned here that single member bench of Justice Sanju Panda of the High Court had directed ISKCON to present its side over the proposed temple at the Puri Konark Development Authority (PKDA). This apart interveners in the case could place their arguments at the PKDA if they so wish, the bench had ruled. The PKDA had served notice to ISKCON to present its side on the construction of the temple project. Citing PKDA had no powers to serve notice, ISKCON had moved the High Court seeking its quashing. The single member bench of Justice Panda in its order rejecting the case directed ISKCON to present its side on the temple project and its construction before the PKDA instead. Challenging the verdict of the single member bench ISKCON had appealed in the High Court through a writ petition. Notably, senior BJP leader Bijay Mohapatra on January 18 had alleged at a press conference that ISKCON was conspiring to construct another Jagannath temple in Sipasarubali mouza in Puri. On the next day, PKDA had ordered stopping construction of the proposed temple till disposal of the case. On the other hand, ISKCON at a press conference on the same day had clarified that Lord Jagannath, Lord Balabhadra and Devi Subhadra would not be worshipped at the proposed temple. 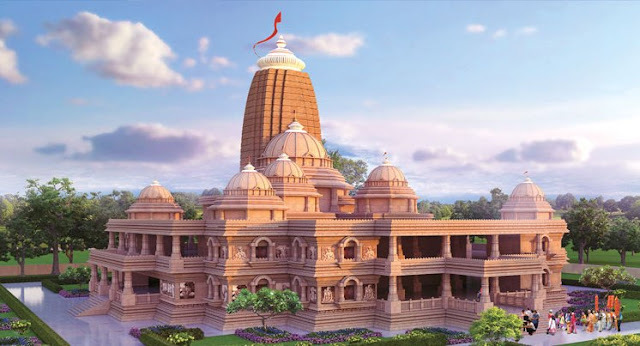 Chief Minister Naveen Patnaik on February 10 ordered for an administrative inquiry into the construction of the proposed Jagannath temple by International Society for Krishna Consciousness (ISKCON) in Puri by the Revenue Divisional Commissioner (Central Division) and submit the report within 60 days.